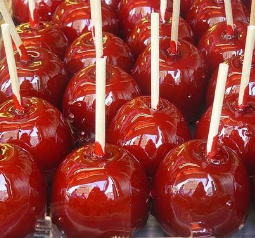 They also feature Specialty Apples dipped in Fudge and many different toppings like Heath, Butterfinger, Marshmallows and Non-Pariels. You don't want to miss the Turtle apples dipped in Caramel and either Cashew or Pecans then drizzled with creamy Milk Chocolate. Visit the Sweet Shop on the Corner of Grant Ave. near the rides in Seaside Heights. Most varieties $3.95 each, 2 for $7 and 3 for $10. Chocolate Covered Bacon at Van Holten's! Holidays are upon us again! Founded in 1904, Van Holten's Chocolates is dedicated to bringing you the highest quality ingredients and products to satisfy your "Sweet Tooth". We are also proud to feature favorites from around the world. Candy is an art form and a delicacy that brings out feelings and memories.We strive to enhance your experience as well as stimulate your inner memories of family and tradition. We specialize in everything from Chocolates to fudge to Jelly Beans and taffy. We have something for everyone from Pretzels to caramels to Marshmallow and Peanut Butter. We have Sugar Free items, more than you have ever seen in one place. We have enormous inventories through the Holidays of Thanksgiving, Christmas, Valentines Day and Easter. Visit us year round on the boardwalk in Seaside Heights or visit our other location 1893 Route 88 in Brick.